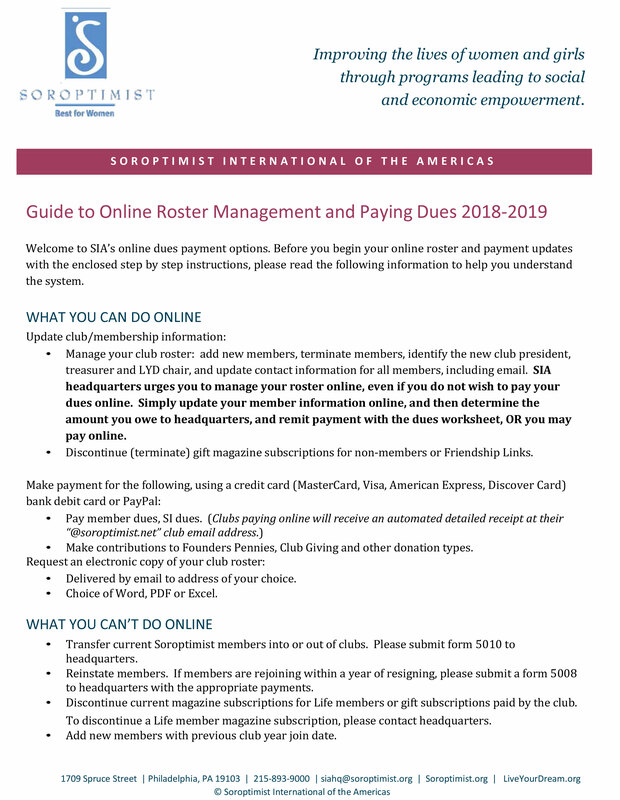 Soroptimist International of the Americas, Inc. It's that time of the year! Time to pay your dues. Paying dues online is easy. As always, if you need help, feel free to contact us at siahq@soroptimist.org or 215-893-9000. © 2019 Soroptimist International of the Americas. All rights reserved.